Are you looking for the most exceptional bathroom fitters Bournemouth has to offer? If so, look no further than Franks Group. As the leading supplier and manufacturer of installations for both domestic and commercial bathrooms, we guarantee you won’t find a better service elsewhere. To find out more, get in touch with our friendly and helpful team by calling us on 01747 826656 today. At Franks Group, we understand that the bathroom is the haven of your home. Therefore, it’s a given that you want it to be as luxurious and inviting as possible, and resemble your very own private sanctuary. Our talented and experienced team can help you to create just that with our exceptional bathroom fitters Dorset service. Whether you’re seeking a brand new contemporary bathroom with an array of dazzling features, or something a bit more traditional to reflect your vintage style, we can create something truly unique. As the most exceptional bathroom fitters Bournemouth has to offer, our service is not only superb but cost effective too. We pride ourselves on offering bathroom design, supply and installation at the most competitive prices, meaning you won’t find a better service elsewhere. To find out more about the most exceptional bathroom fitters Bournemouth has to offer, get in touch with our friendly and helpful team by calling us on 01747 826656 today. You may be wondering what sets our Bournemouth bathroom fitters apart from the rest. It’s our personable approach, and consideration to your exact needs and budget, that makes our bathroom installation Dorset one that cannot be matched. Better yet, should you experience any issues with your bathroom, we offer a 24/7 emergency call out service, making us bathroom fitters you can truly rely on. A brand new bathroom from Franks Group will give your property a brand new lease of life. For those looking to sell their home, it can add immeasurable value, and create an excellent first impression. 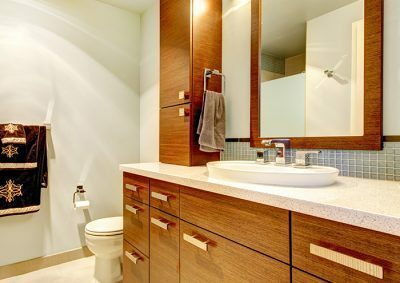 If you’re the owner of a commercial property, adding a sleek and stylish bathroom will speak volumes about your service. Why choose us for your Bournemouth bathroom fitters? Combining many years of experience, an outstanding service and the best prices around, it’s no wonder our builders Dorset have amassed a reputation for being the most exceptional bathroom fitters in Bournemouth. The moment you pick up the phone and speak to our friendly and helpful team, you’ll soon understand why we’ve amassed such a glowing reputation. Do you still need convincing that Franks Groups are the best bathroom fitters in Bournemouth? Have a look through our online gallery, and our case studies, which demonstrates our team’s talent and expertise. So, what are you waiting for? The most exceptional bathroom fitters Bournemouth has to offer are simply a phone call away, so pick up the phone and get in touch today. To find out more about the most exceptional bathroom fitters Bournemouth has to offer, get in touch with our friendly and helpful team by calling us on 01747 826656 today. Alternatively, you can email us at info@franksgroup.co.uk, or fill out our simple online enquiry form, and we’ll get back to you as soon as possible.